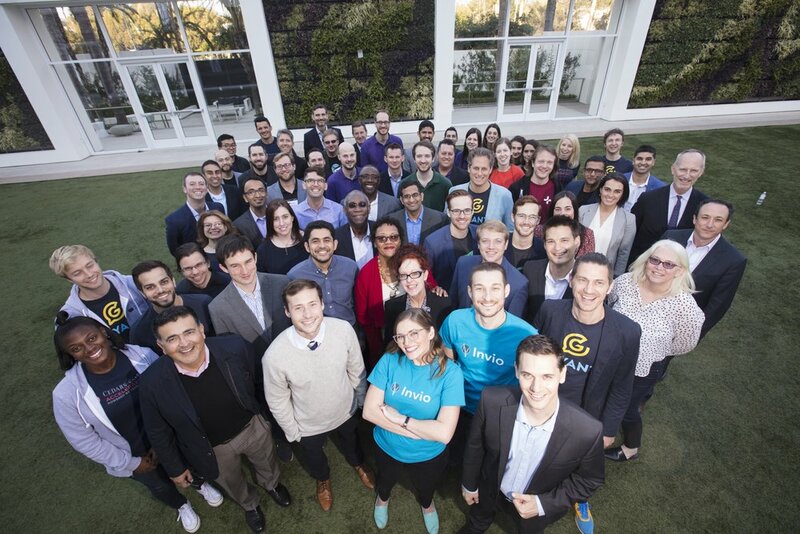 Founders and the Cedars-Sinai Accelerator team at Class 3 Demo Day in December 2017. This three-month program, based in Los Angeles, California, provides companies with $100,000 in funding, mentorship from more than 300 leading clinicians and executives, access to Cedars-Sinai, and exposure to a broad network of entrepreneurs and investors. Since 2015, the accelerator has helped dozens of companies transform healthcare delivery and patient care. Impact the future of healthcare. “Cedars-Sinai is a medical center with literally thousands of resources. Program Directors Omkar and Suzanne have such deep and broad knowledge about how Cedars-Sinai operates, and they will help you form a plan and connect you with the right expert mentors." "During mentor madness, we got more quality introductions each day than we would have gotten in six months anywhere else. Our mentor Brenda Schmidt provides amazing industry insight and introduced us to people we never would have met otherwise. She is a total powerhouse."